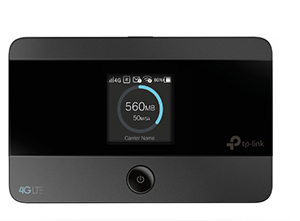 Mobile Broadband is a great cost effective solution for Wi-Fi on the go. There are many devices out there and a lot of them are vastly similar. When comparing the Huawei E5577c against the TP-Link M7350, putting looks aside, they have almost identical specifications. When it comes to looks, these devices share similar in sizes but the overall design is very different. The M7350 is only available in black and has rounded corners. The overall design is very sleek and well compact. The E5577c is also very compact and is available in either white or black. Both these devices have a very simplistic design, which makes them easy to use. When comparing the batteries within the devices there is a difference in capacity size, the Huawei E5577 has a great battery although it is only 1500 mAh and the TP-Link M7350 has a battery size of 2000 mAh. 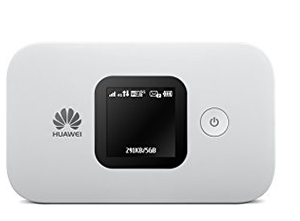 This means the Huawei E5577c has a working time of 6 hours whereas the TP-Link M7350 has a working time of 8 hours, although this depends how heavily the device is used.